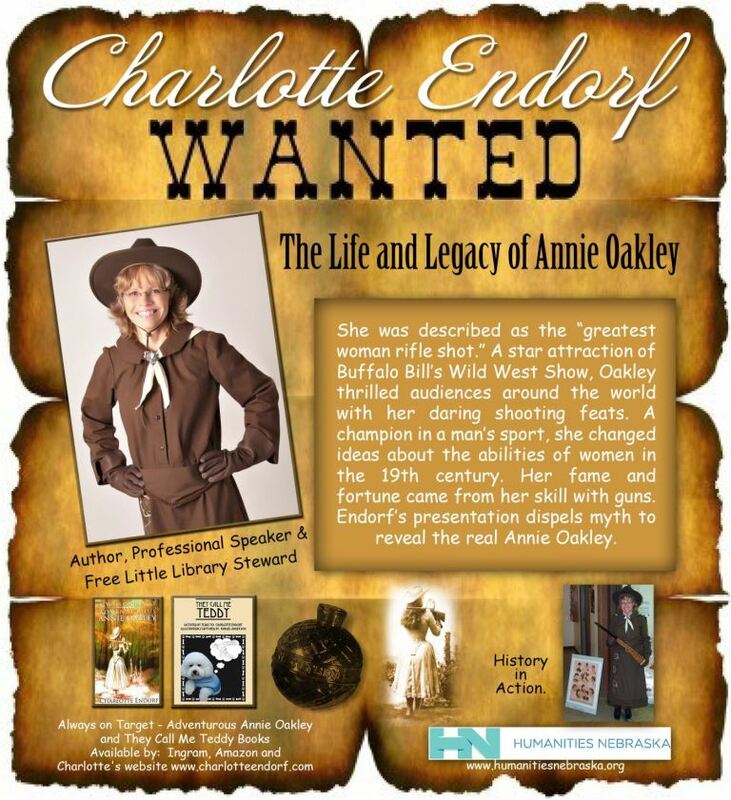 We are excited to host author and Interactive Public Speaker, Charlotte Endorf as she presents Annie Oakley -“Always On Target”. Her presentation will include a book signing of her newly released piece. The event and her book are targeted to all ages so bring the whole family and experience a bit of history brought to life. Books will be available for purchase at the event and will be available after the event in the gift shop.